My signal has been my go to edc and work carry for probably 1 1/2 years now and it has never let me down, so i decided that she needed a companion. 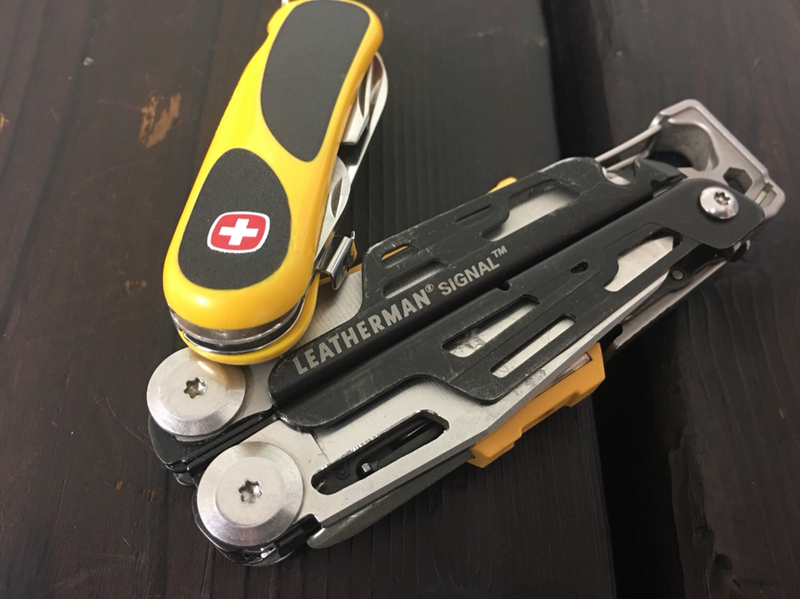 I have always liked the look of the tan leatherman tools and when i saw this one at near perfect condition for $85 i threw in an offer of $70 on the bay and it was accepted. I already picked up a set of bo scissors for it and a bo blade exchanger is on its way from loki (both purchased before the new tool was). Thanks! I has to try out my new dremmel i got for Christmas. Lol. It feels better clipped to my pocket and makes the screwdriver able to be used while the handles are closed. I really like the mod but I will leave the new one intact. Plan on adding to the new one, not taking away. Latest addition.... Blade exchanger. I just realized looking at the picture, i think it chose its new name.. Man signal. Haha.